Living in God’s Secret Place – How in the World Do We Do That? Those who live in the presence of Elyon, the Supreme God who is above all other Gods, that person will remain forever under the protection of the Almighty God. I was pretty jazzed about God’s goodness and His promise in Psalm 91 after studying it recently…but I found myself jazzed about God with no practical way to get to the promise. In other words, He promises permanent rest and protection to those who live in His presence…but how in the world do I go from where I am now – visiting regularly, but losing that connection more often than I’d like to admit – to living in His presence – remaining there throughout the day? That’s the $64 million question. And it’s one I’ve been meditating on and intentionally practicing lately so I wanted to follow up our study of Psalm 91:1 with some practical tips for living in God’s presence. I have to caveat this blog – books and books have been written on this subject. This is a short blog. So I’m just covering some basics. My hope is that just a few of the basics will grab your heart and spirit and you’ll say “yes, I’ll commit to trying that for the coming month.” Because I can promise you, just reading this won’t help you stay in God’s presence. You have to practice it. Because we are pulled away from the Lord much too easily by this sinful world in which we live. So pause to pray. Yes, right now. I’ll wait. Confess to God your own unfaithfulness to Him and your desire to draw nearer. Tell Him that you want to live in His presence. Ask for His help. Ask the Holy Spirit to highlight those things in this list that best fit your situation or your personality. Or to bring to mind things not even on the list. Don’t forget to tell God that you love Him and are so looking forward to a closer relationship with him. That would include things like reading Scripture, praying, worshipping, serving others with the awareness that you are serving God. The key is to do them throughout the day. Do you reserve your Scripture reading time for early morning? Consider adding a “walk through the Psalms” time to your day – during your morning coffee break or after you finish your first major task of the day. Add worship music to your environment, either by playing it in the background or singing it to yourself. Do you have a “prayer closet” wherever you spend your day? If you’re at home, maybe there’s a corner you can relax in for just a minute or two several times throughout the day. Or maybe it’s at the sink where you rinse the dishes before they go in the dish washer. If you’re in your car, this is an easy one! Just be disciplined to spend some of your drive time praying, not just day dreaming or strategizing about your next meeting. If you’re at work, your prayer closet can be anywhere you’re alone. Be purposeful about visiting it for short prayers throughout the day. Regularly remind yourself of God’s goodness and faithfulness. Don’t ask “What Would Jesus Do?”, ask “Jesus, what would You do?” Read more about that here. Consciously give your day over to the Lord. After my Bible reading each day, I plan my day with my calendar and electronic To Do list in front of my. I have set a recurring task on my To Do list that says “A Prayer – What Should I Do Today?” “A Prayer” puts it at the top of my list (because my list is alphabetical). “What Should I Do Today?” reminds me over and over again that I’m not the one deciding my priorities. Every time I look at my electronic To Do list throughout the day I am faced with that reminder. Regularly “settle in” to God’s presence. My prayer/planning time with the Lord yields a short hand-written list of tasks and priorities for the day. I’ve recently started putting the words – “settle in” – at the top of my written To Do list. I see them every time I finish a task on my list. I am consciously working on including God when I transition from one task to another. I wish this came naturally for me. It doesn’t. But I am confident that God is faithful and as I regularly invite Him to plan my day and be a part of it, I will experience His presence more strongly. 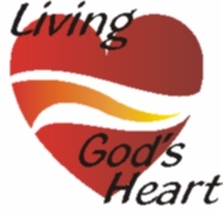 Live holy lives – flee from sin. Resist worry; practice faith instead. Worry instantly pulls you away from faith and into the hands of satan. Identify stressors and deal with them. When I recognize that I’m beginning to feel anxious, I consciously stop and breath in deeply as I remind myself of the goodness of God. Then I breath out slowly as I release the situation into God’s hand. Pray when you feel like complaining. These things aren’t always easy, but they will yield a greater presence of God in your day. They will allow you to live in that secret place of His presence. And that’s a good thing. If you have other ideas, share them. Leave a comment below or on our Facebook page. Comments Off on Living in God’s Secret Place – How in the World Do We Do That? 5For this very reason, make every effort to add to your faith goodness; and to goodness, knowledge; and to knowledge, self-control; and to self-control, perseverance; and to perseverance, godliness; 7and to godliness, brotherly kindness; and to brotherly kindness, love. 8For if you possess these qualities in increasing measure, they will keep you from being ineffective and unproductive in your knowledge of our Lord Jesus Christ. The phrase that grabs me in this passage is the title of this blog – “make every effort.” But before we get there, we have to deal with the beginning of verse 5. “For this very reason” the verse begins. What reason? Check out yesterday’s blog for more, but the synopsis is that God has given us everything we need so that we can participate in His nature and escape the corruption of the world. Whew! That’s quite a gift and quite a promise. And as a response to that gift, we’re to “make every effort.” Not because of an unpaid debt, although we clearly have one, but because of our appreciation for what He has done and our love for Him. He has given so much for us, we are to “make every effort” to live in the way that pleases Him. That means living godly lives – faithful, good, self-controlled, consistent, kind, loving lives. During a recent study of this passage with a small group, someone asked if there was a logical progression to the characteristics we’re to display. I think there is, but I don’t think it’s absolute. The order they’re presented here makes sense to me… but God has a way of working outside the box. The point is that He is working and we should be responding to that working by making every effort to improve in each area. Growth doesn’t happen simply from reading about it. It happens when we make a decision to respond to what we’re reading. It happens when we work toward becoming the person God wants us to be. I love verse 8. It is probably one of my favorite verses in the Bible. It holds a promise that is important to me. If we possess these qualities in increasing measure they will keep us from being ineffective and unproductive in our knowledge of Jesus. I want my life to count for something. Possessing these qualities in increasing measure ensures that. They will keep me from being ineffective and unproductive. Let’s put it in the positive: They will help me to be effective and productive – they will help me to accomplish the purposes God has for my life. I’ve been careful to reiterate the phrase “in increasing measure” each time I’ve cited the verse. That’s because I think we can get stalled out at any point and it’s at those times that we begin to lose our effectiveness. Paul repeatedly talks about the importance of finishing the race well. That only happens if we make every effort on to increase in our Christ-likeness an ongoing basis. When we retire from pursuing those qualities, we retire from effectively serving God. We lose our purpose. We become ineffective and unproductive. Those who don’t have the qualities described in verses 5 through 7 are nearsighted and blind. We have forgotten what God has done for us. We’re no longer productive and effective. We’re groping around for a purpose and a plan. Lack of spiritual maturity blinds us. Growing in Christ brings vision. Oh friends – because growing in these qualities makes you productive and effective and not having them makes you nearsighted and blind, be all the more eager to make your calling sure. God is the One who has called us, “by His own glory and goodness” (see the previous blog for more on this), but we confirm that calling through the walking out of our faith – changed attitudes and behaviors. Continuing in Christ, we have a “rich welcome” waiting for us at the end of this road. A welcome that begins our eternal life in the kingdom of our Lord. We can be nearsighted and blind – without a plan or purpose – or we can make every effort to grow in qualities that help us to become more like Christ. Let me encourage you as Peter encouraged first century believers – make every effort.